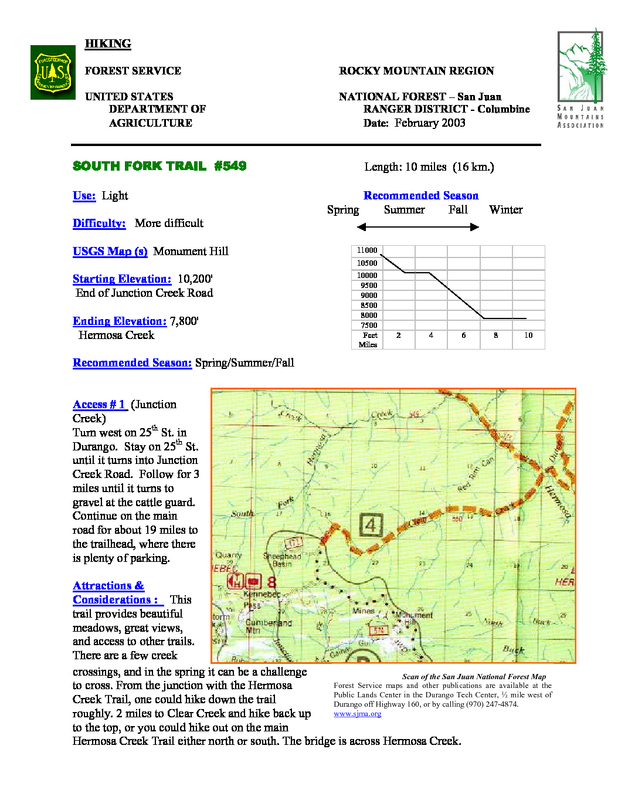 South Fork Trail #549 is a 6.79 mile one way hike with 669 feet accumulated elevation gain. Located 14 miles north-northwest of Durango Colorado. This trail provides beautiful meadows, great views, and access to other trails. There are a few creek crossings, and in the spring it can be a challenge to cross. From the junction with the Hermosa Creek Trail, one could hike down the trail roughly. 2 miles to Clear Creek and hike back up to the top, or you could hike out on the main Hermosa Creek Trail either north or south. The bridge is across Hermosa Creek.